As many of you know, my artist website where I have been offering the individual textures has been having a host of problems in the past few weeks. Despite reassurance the issues had been or will be fixed, they seem to be getting worse daily. As a result, I have made the decision to move all of the individual textures over to DailyTexture.Com where the collections/bundles are offered. So what does this mean? In a nutshell, this means you will be able to purchase ALL of the Daily Textures - both individually and the special collections - all from one convenient location. 1) Individual textures have had a price increase due to the increased processing fees I am having to pay. Reliability and security are expensive, unfortunately. The individual Daily Textures have increased in price from $2.00 to $2.50 each due to a per transaction cost I incur which is considerably higher than the old website. However, this transaction fee becomes more manageable when several textures are purchased at once. We have made two coupons available on the website which will be available at all times. When you spend $20 or more, you will receive a 20% discount when using code: DT2020. When you purchase $40 or more, you will receive a 40% discount when using code: DT4040. Basically this translates to this: when you purchase 8 or more textures at one time, you are paying the same price per texture as you were before. When you purchase 16 or more textures at one time, you are paying LESS per texture than you were. Be sure to enter the code in the appropriate box at checkout and click APPLY, as the discount is not automatic...you have to enter the code and click apply to receive the discount. 2) The second major change is our order system on this new website does not accept Paypal. I know many people like to pay with their Paypal funds. This can still be done using a Paypal debit card or a prepaid Paypal Mastercard if you have them, but the system will not access Paypal directly. All major credit cards, corporate cards and prepaid visa/mastercards are accepted via our new order system. As for the old website, it is paid through another year, and I will leave the current textures on there for the current price as long as I can. At this point, with all of their problems, I cannot guarantee reliability and am unsure if it will remain available for the balance of the year. No new textures will be added to that website. No new blog posts will be added to this blog, either. I have set up a new blog on the new site which I will begin posting to by tomorrow. After working with the new site from the back-end of things, and after having several people test the order system over the past couple of months, I feel quite sure you will enjoy it. I can more readily offer sales and discounts, and I can also offer the texture bundles which I could not do at the old website. 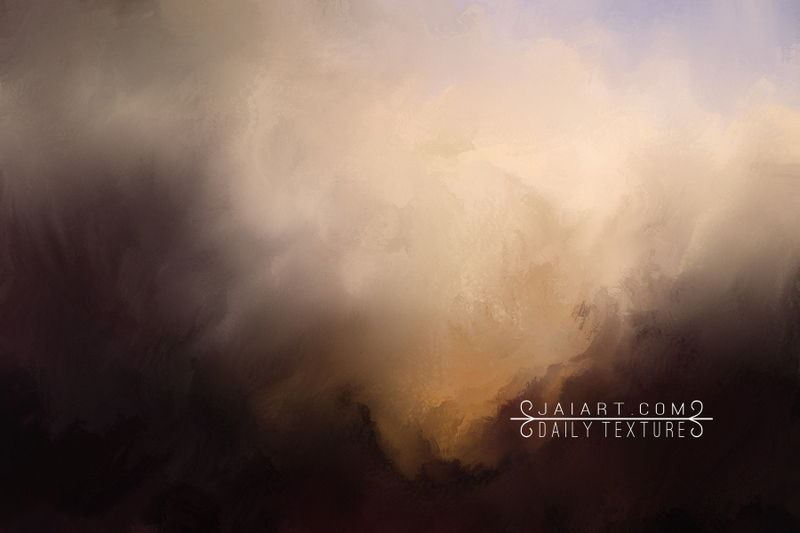 On the new site, I am also introducing a free texture of the week. The texture is featured on the front page, and you're invited to grab it and add it to your collection. Each week there will be a new free texture featured! This gives you a chance to try our ordering/download system if you haven't tried it already, and you can see just how easy and convenient it is. You do not have to enter a credit card to get the free texture of the week. I'll leave this blog up, but just be forewarned when the old site goes down, the links from this blog to it will not work. If you're looking for a specific texture, however, the new site has a handy search box at the top of the page - just put in the name of the texture to find it quickly. Thank you all for your patience as I've worked out things with the Daily Texture and I hope you'll enjoy the new website and the new blog. 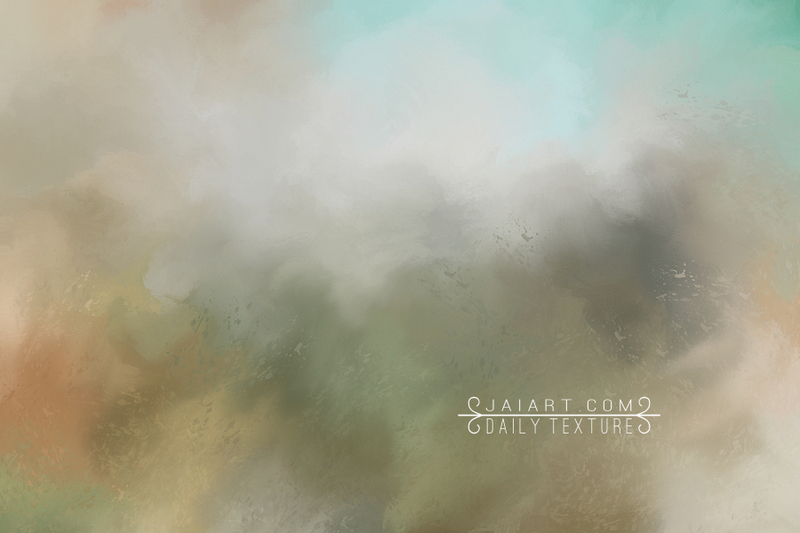 Today's Daily Texture features the misty colors of the sand and sea, all wrapped up into one. 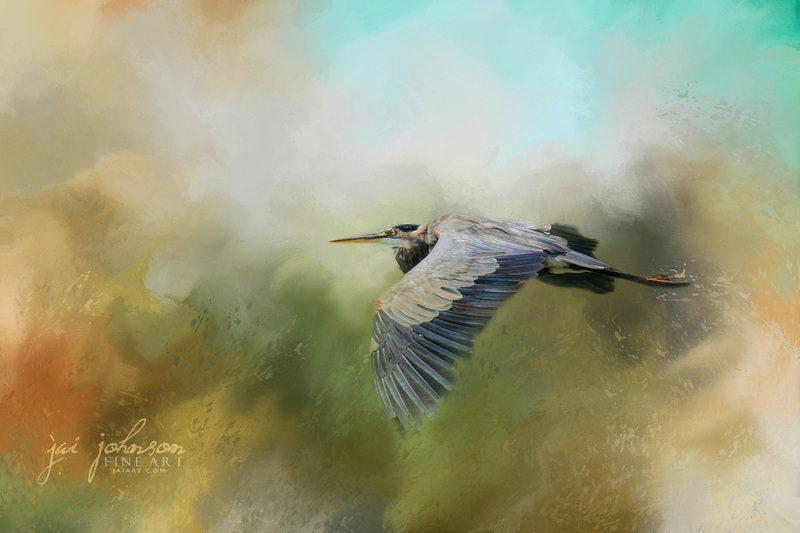 I used this texture with a photo of a blue heron I took at the lake last weekend. He sailed right by me as pretty as could be, and I thought he paired wonderfully with this texture! First, I masked away his background and placed him, carefully positioning his darker feet in the darker area of the texture. Then I duplicated the texture layer twice and placed these on top. The first layer was set to multiply at about 33% and the second layer was set to soft light at about 50%. After merging the layers, I opened Topaz Adjust and picked a filter called "Brilliant Cold", which boosted the saturation and brightness just enough. I have so many photos I can use Today's Daily Texture with, it's crazy! 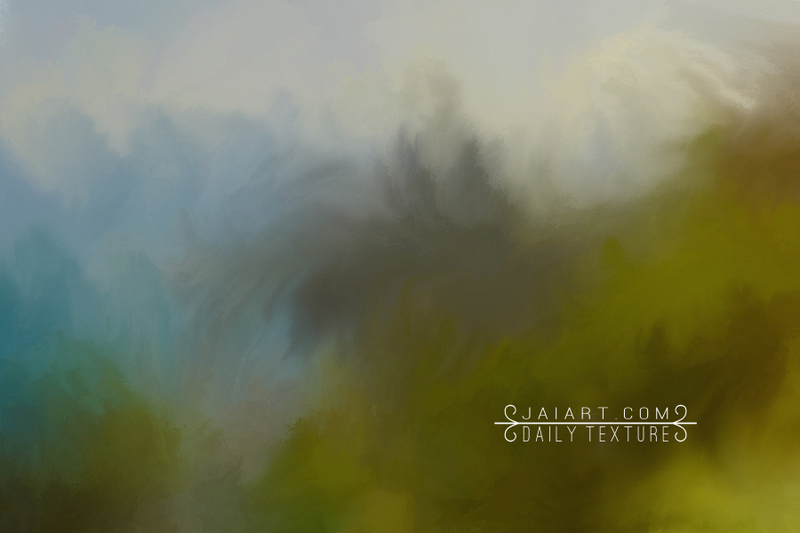 The yellow-green in the texture goes perfect with a lot of my spring and summer backgrounds. The soft blue is an added bonus I really like, too. 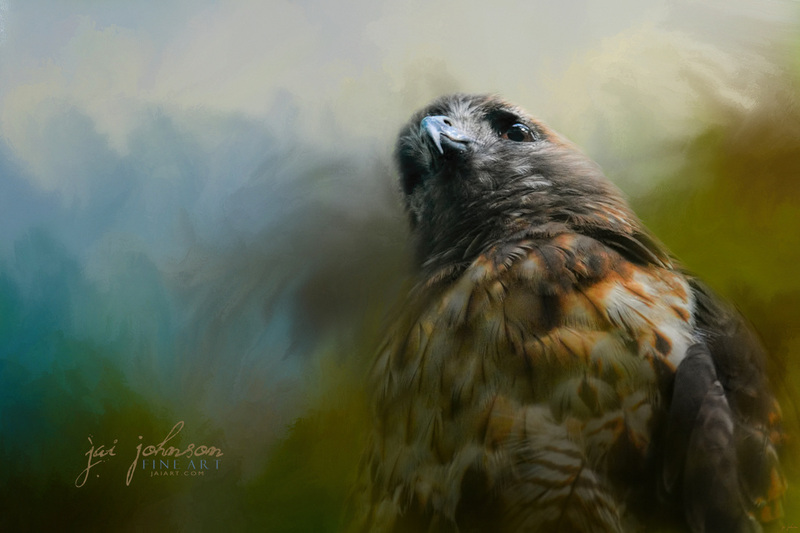 I chose a recent Red Tailed Hawk photo to work with today - her background was almost the exact same color green as featured in this texture, so it worked out very well. As usual, I placed her photo on top of the texture and masked away her background. The I duplicated the texture layer and placed it on top, setting it to soft light at about 40%. I also desaturated this layer about 50% in order to keep the yellow-green colors under control. 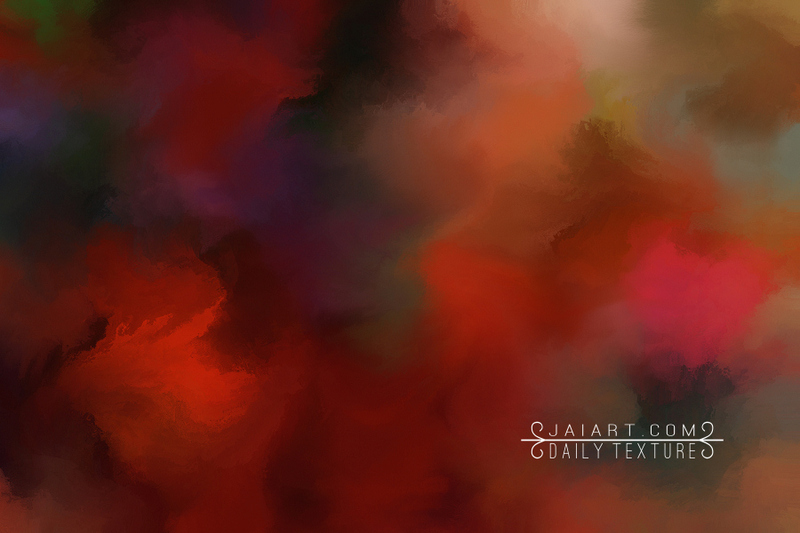 If you love RED, you'll love this Daily Texture! 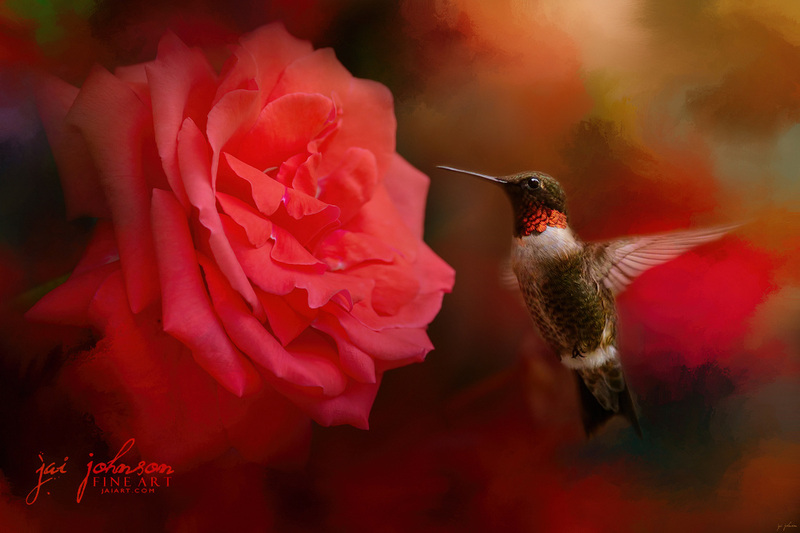 I used this vibrant texture on this composite I made of a big rose and a hummingbird. I masked away the backgrounds of both photos, blending them with the texture underneath. 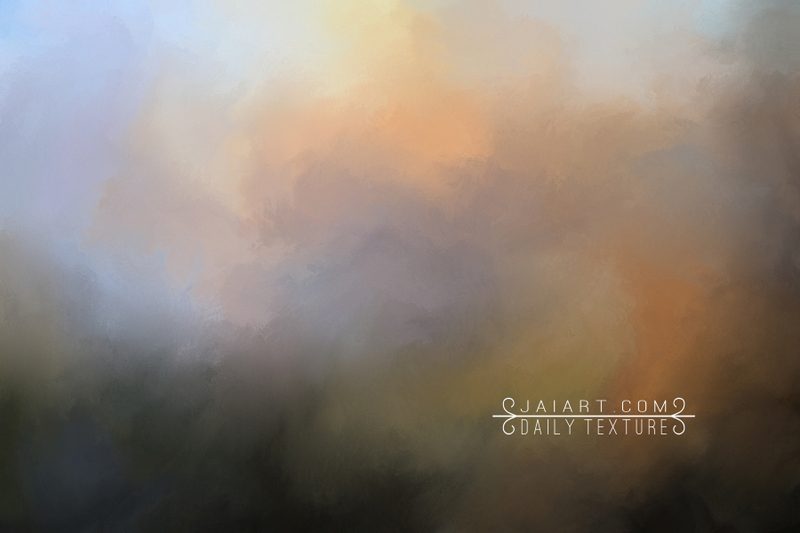 Then I duplicated the texture layer and placed it on top, setting it to soft light at about 50%. 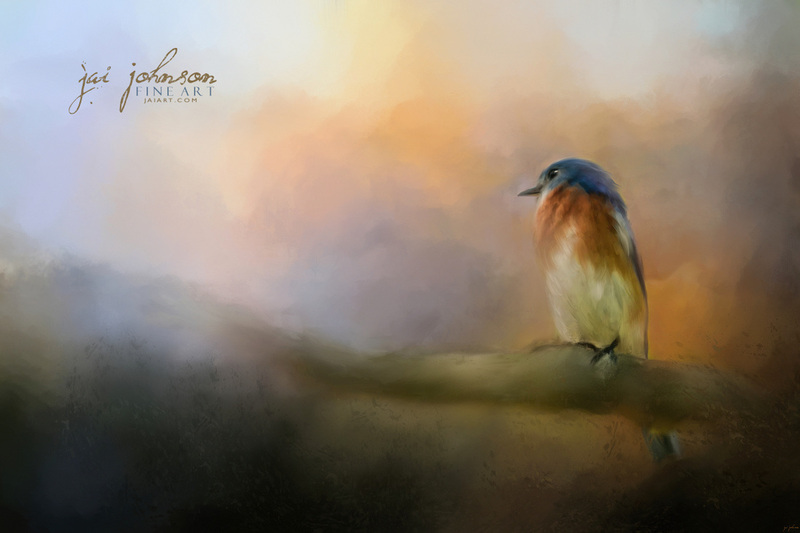 This enabled both the rose and bird to pick up the color tones from the texture, making them more compatible. After merging all the layers, I darkened the bottom edge slightly, and then using Topaz Lens Effects, applied a gold reflector light adjustment to the top of the photo. 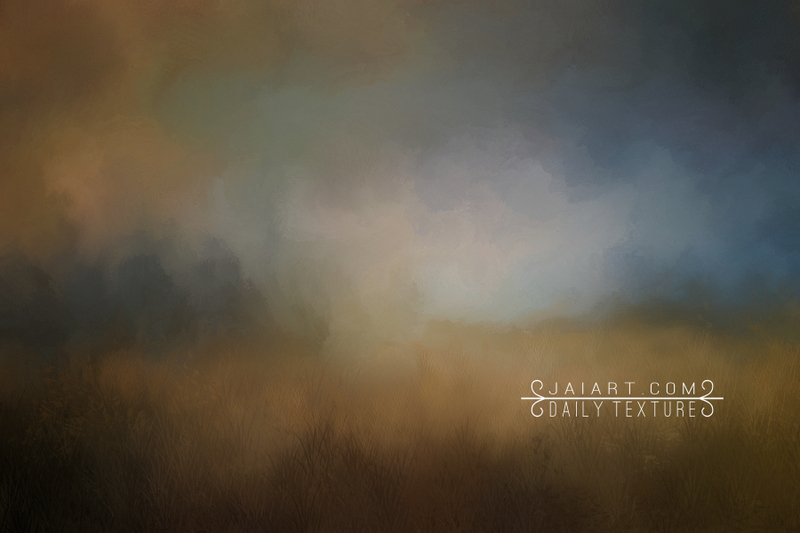 Today's Daily Texture/Background features a beautiful field with a nice splash of light in the center. 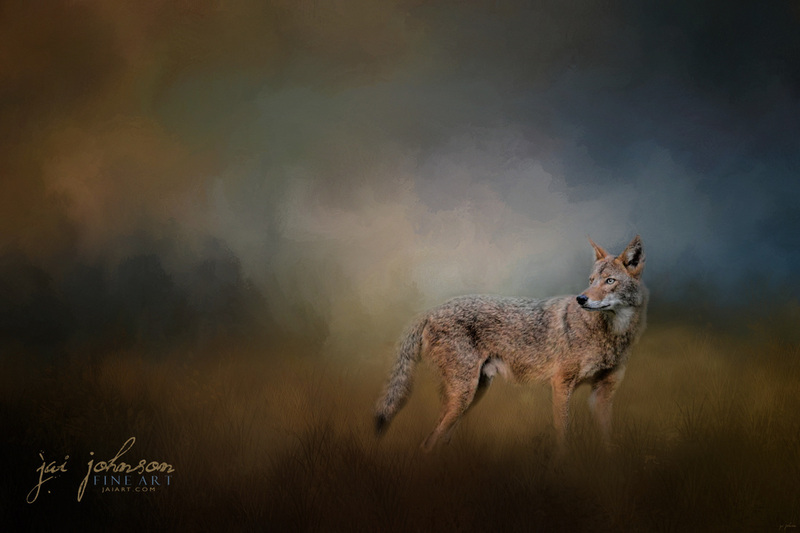 I used this texture with a Coyote I photographed in Shiloh, Tennessee a couple of days ago. First I placed the coyote on top of the texture and masked away his background. I placed his feet in a dark area of the field to ground him. I also darkened his feet and legs slightly to better ground him within the grass. Then I duplicated the texture twice, placing the new duplicate layers on top. The first texture layer, I set to multiply at 30%. The second one was set to overlay at 30%, but I desaturated that layer slightly to tone down the yellow/gold tones the overlay layer created. In having a discussion with someone the other day, I realized I didn't have any textures made which are predominately black and gray. 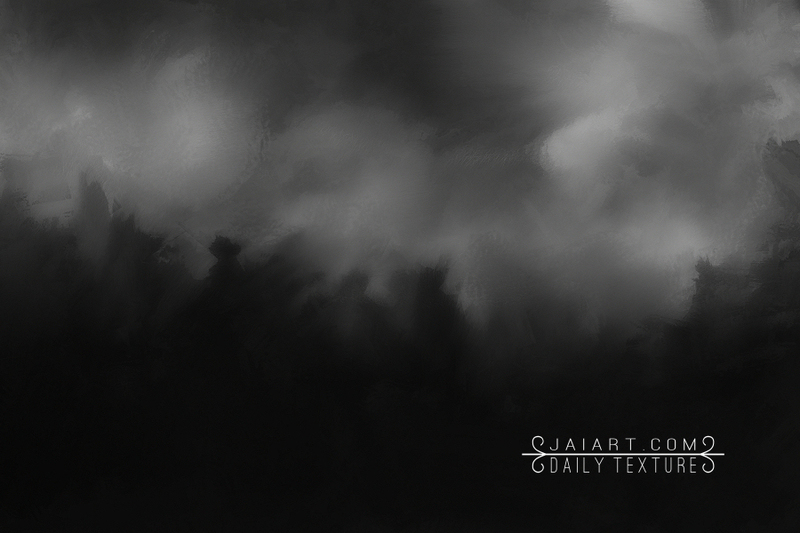 So many subjects go well with black and gray, so I decided Today's Daily Texture would celebrate these tones. 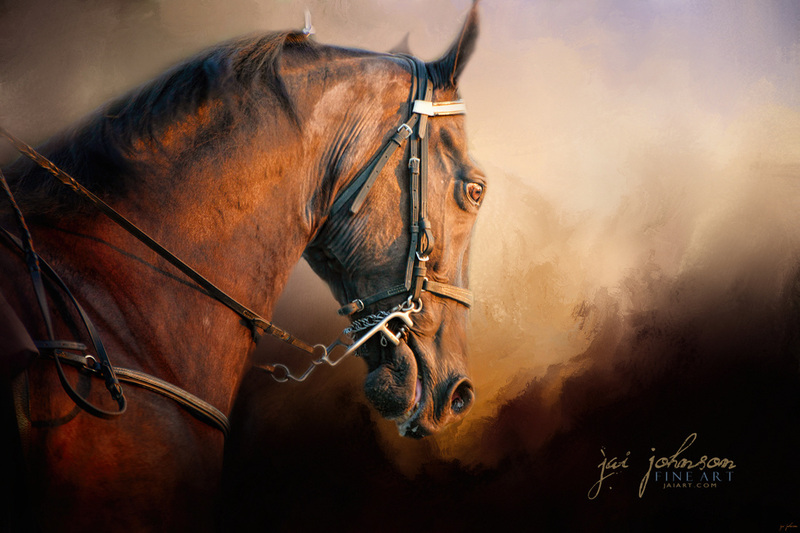 I paired this dramatic texture with another one of my Tennessee Walking horse photos. In this image, I only used the texture as a background - I didn't place any more layers of the texture on top, as I felt it made the image too dark. The horse had a golden glow of the sun on him, so I desaturated the photo slightly, in order to focus better on his black tones, leaving just a hint of color present. Just as the title says, Today's Daily Texture is all about dramatic light. 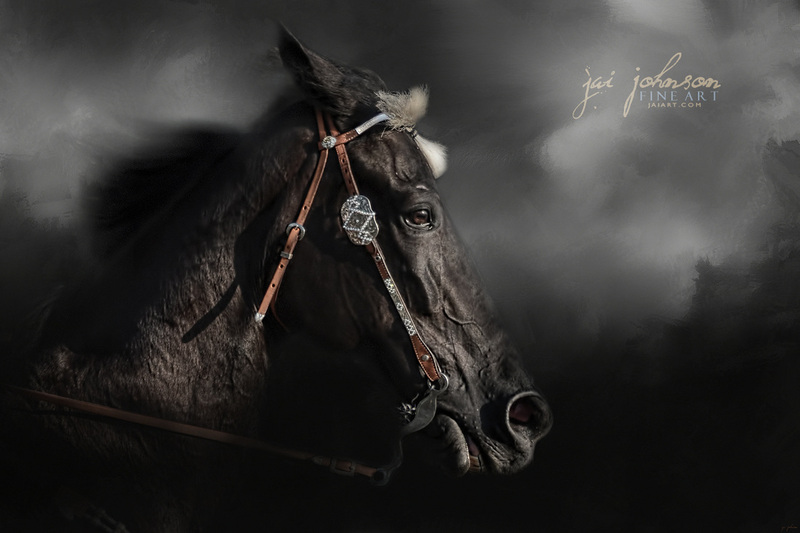 I paired this texture with a photo of a Tennessee Walking horse taken last month at a local show. I blended away his background, then duplicated the texture layer twice, placing both on top. One was set to soft light at about 68% and the other was multiply at about 33%, with some of that layer masked off the face of the horse to keep the light strong there. To finish out the image, I applied a very light vignette to it in order to gently bring the focus even more to the center of the image where the light resides. 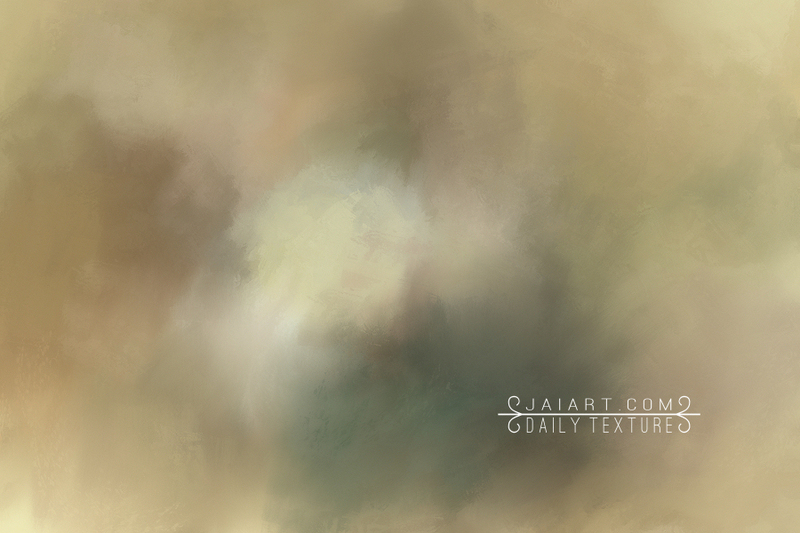 Today's Daily Texture is a softer one, reminiscent of our fading garden as we move into fall. 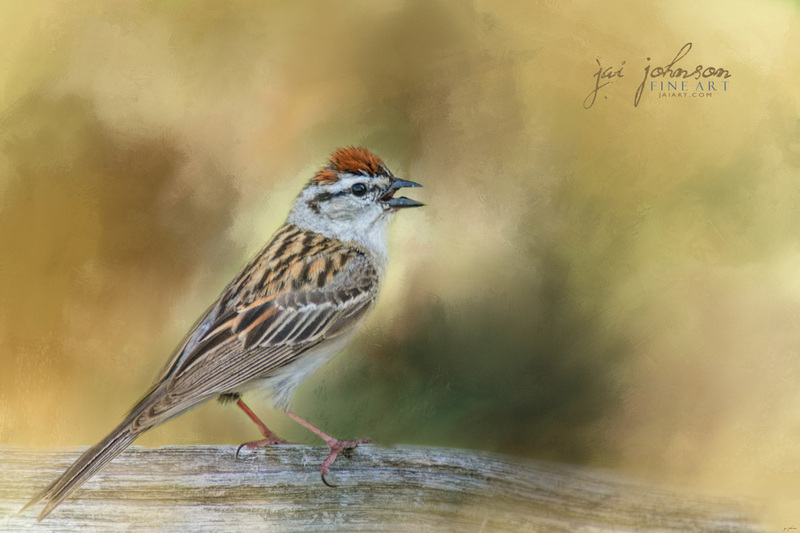 I paired it with this sweet photo of a little bird on a fence. First, I masked away the background from the original photo, and then I duplicated the texture layer and placed it on top, setting it to soft light at 100%.